Grizzly River Run recreates the thrill of whitewater rafting, and part of that is the uncertainty that each bend of the river brings. Will it be tranquil waters or roaring turbulence? The alternating between sublime serenity and exciting rapids helps contribute to the thrill. And at the same time, the gorgeous setting makes the whole experience absolutely captivating. 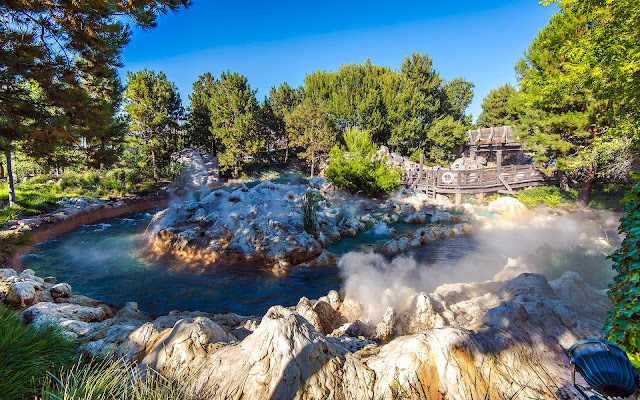 Mist rises above the river after the climactic spinning drop of Grizzly River Run.